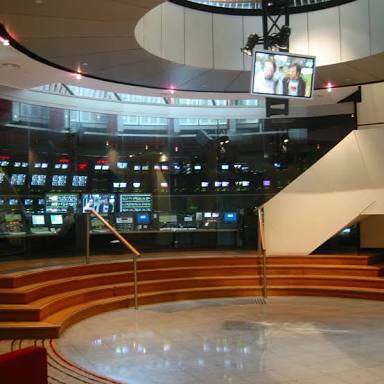 Use this thread to discuss anything related to Australia’s broadcast facilities within the media. Such as TV, pay TV and telecomms. Also continue discussions here from other threads, when a significant broadcast techncial issue occurs (i.e.) loss of feed, black screen, watermark error, etc. Def something happened in presentation! 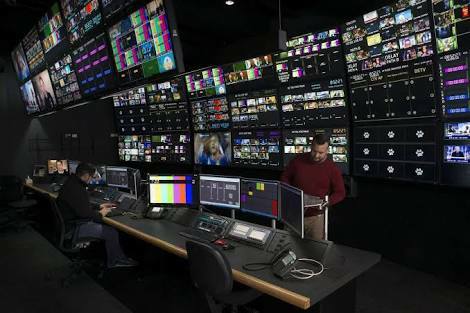 Master control hub / presentation / transmission play-out are inextricably connected at most network broadcast centres, with a few exceptions. 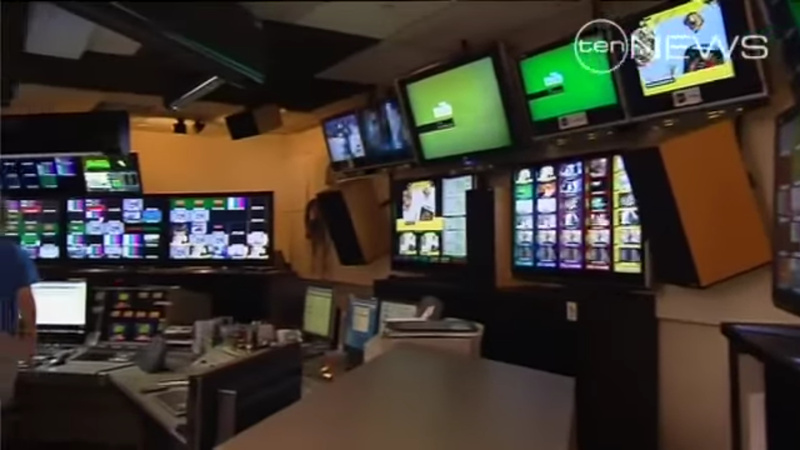 ATV Melbourne has the backup presentation/playout facilities incase something happens at TEN Sydney. As does ATN-7 Sydney, for Seven. 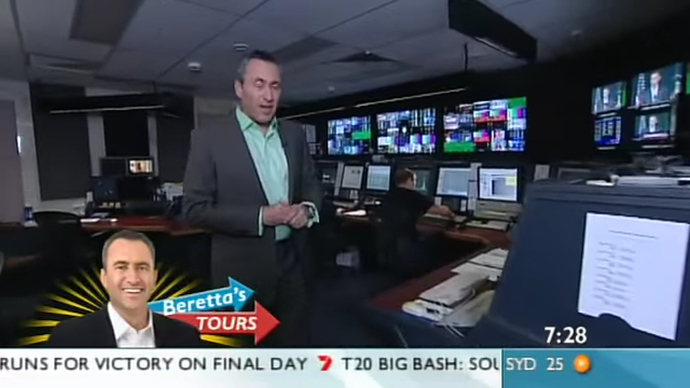 I’d assume Nine have similar in Melbourne, probably ABC, SBS and Foxtel too. 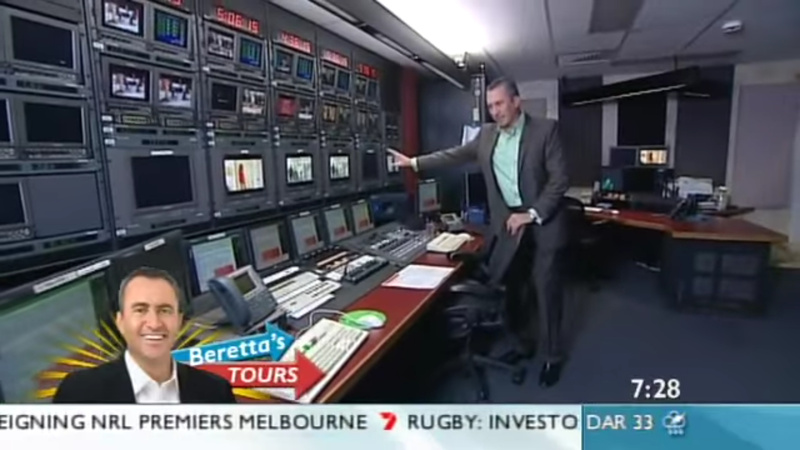 Telstra Broadcast (which aid the networks) also have a set-up in Sydney, not sure about Melbourne. Not all that secluded. 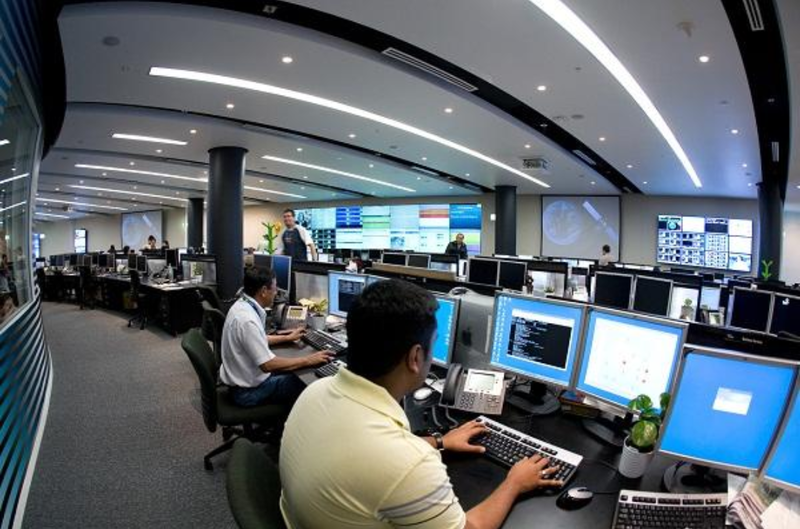 Google “Telstra GOC”. Also the routing point for all Triple-Zero calls. Would I be right by guessing that “playout” is the final stage before transmission (switching between programs/breaks and inserting on-screen graphics like watermarks & PRGs, etc.) while presentation is where on air elements like promos are produced? 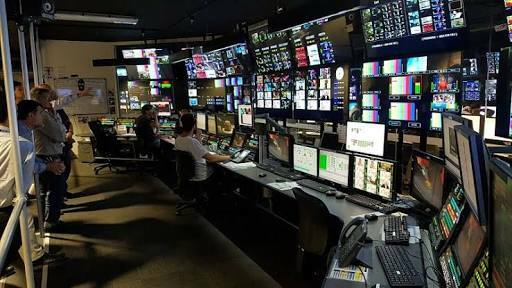 As far as live news/current affairs programing is concerned, I would’ve thought that all the on-elements for those (except maybe things like the on-screen clock which some networks do at the playout stage IIRC) are done from the control room. Are you implying nationally, or just VIC? I was referring to transmission, yes. But all the terms (as I mentioned) differ among some and are all interrelated anyway. I’ve always considered network switching and watermarks et. al. as part of presentation, rather than play-out? As they’re 95% lined-up / automated / part of a script. I used to be naive, thinking people were there pressing buttons for every switch, ad, promo, PRG, bug, watermark, etc Which is seemingly impossible. When I’ve seen inside MCR at BCM, there’s sometimes only one person there, on what is a huge desk which stretches the entire room! Take Nine for example, where that’s done at Nine Sydney (Willoughby). Frenchs Forest just controls the play-out and transmission to all markets (and associated technical / engineering) of the channels themselves. 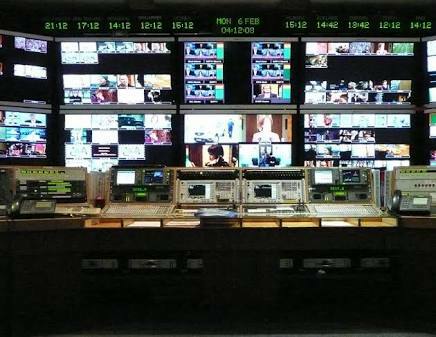 Does anyone know where TV EPGs are made / transmitted? I’d assume play-out, given they’re attached to the channels as part of a network’s digital multiplex. 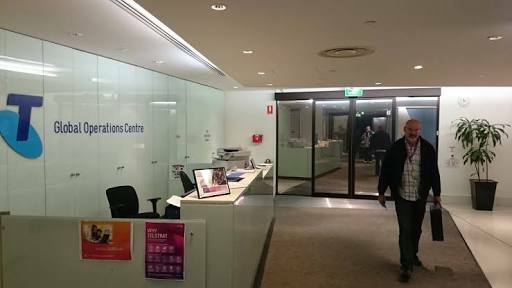 For the purposes of a grounding and archive for what is now a thread, here is images of Australia’s main play-out facilities. can’t find an image - help? Any other broadcasters / telecoms I’m forgetting? Nationally. I have really needed to call Triple-Zero once because of a fire but pressed the emergency button on the platform instead. I think the system routes from the nearest Cell Tower if the mobile network is congested and then goes to Telstra GOC which then someone asks you what the emergency is. That then gets routed to ESTA Ops (Victoria) at either Mt Helen for Regional VIC calls or the World Trade Centre in Melbourne for Melbourne Metro calls. It used to go to the nearest ‘VKC’ for Country Police calls which would be the Mildura Police Station or Warrnambool Police Station up until 2013 where Police Dispatch moved into Mt Helen. For other states, it would route to their nearest Dispatch Centre. 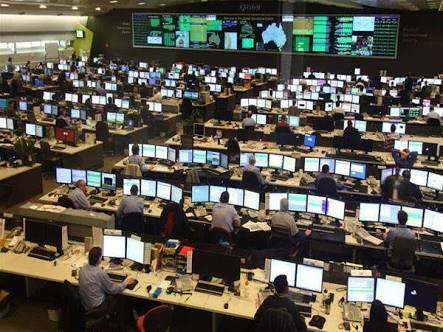 Edit: @LukeMovieMan Optus has the “Optus Network Management Centre” in Sydney and another ops centre in Sydney for Satellite Services. Might be done through Computer Software at Presentation which is sent down the line to Playout. I’m pretty sure playout/presentation is the same thing. It’s everything played out via an automated rundown with programs, commercials, watermarks etc. Can also be manually done with sports OBs etc. Not sure if it’s different in Australia, but where I work in the UK, it’s all compiled into a Transmission schedule where all the presentation (idents, voiceover, end credit squeezes, bumpers), promos, programmes, opts, adverts are placed by a Presentation Scheduler/Media Planning at the broadcaster’s HQ and then that playlist is sent to playout (could be internal or an external provider) to playout the schedule. 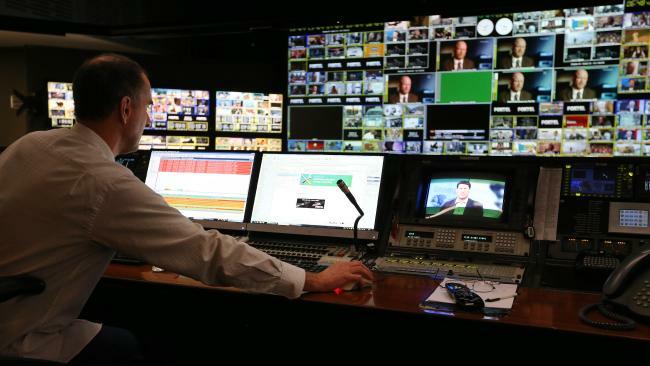 A playout director would run checks through the schedule they’ve received from the broadcaster, any timing discrepancies will be queried before that schedule is put to air. Playout tends to intervene for live broadcasts, breaking news, extremely last minute programme changes, presentation events that are incorrect (voiceovers, line up menus, missing media etc…) often if there’s a problem with the schedule on the day of TX and is spotted. The Presentation Scheduler would have to ‘take back’ the schedule to fix and re-export to playout to seamlessly sync up with the incorrect TX schedule. Comments here are pretty well correct, but the lines blur across the networks as to names, & who exactly does what. The play-out is generally just a bunch of computer servers that play-out the programs & commercials, & send the data out to the TX sites, these servers are monitored & directed by the MCR at each network. The MCR operator can also manually direct the transmitter to use the main or the alternate (backup) input feed, & they can manually change from the main to backup transmitter (which generally in metro areas will involve a site change). Of course all the systems are set up, that incase of failure, everything will instantly automatically change over. Every piece of transmission equipment has redundancy, & has a backup/alternate path to air. All Networks do a manual Disaster Recovery test each week, where they change from main to alternate & back, if all goes well, the viewers will never notice the change. The Nine Play-out & MCR is at Frenchs Forrest in Sydney. The TEN Play-out & MCR is at Pyrmont in Sydney. The Seven Play-out & MCR is at Docklands in Melbourne, however Martin Place in Sydney is a pseudo play-out for Seven because so much Live TV comes out of there each day, (I think it’s 10-14 hours per weekday of normal programming is Live out of Martin Place Sydney). 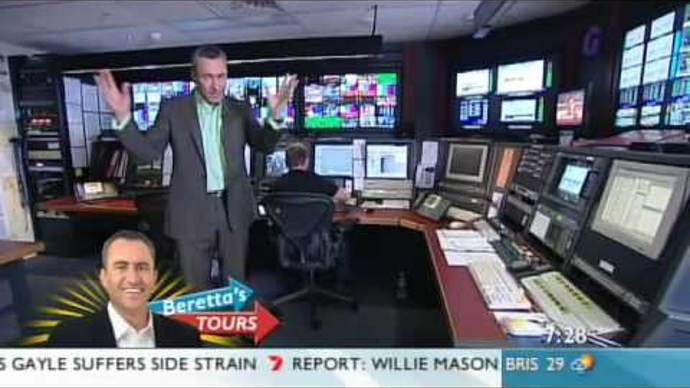 Disaster Recovery for the Seven Network (studios) in case a disaster happens in Sydney (building fire, major tech fault, etc.) is Seven Perth. Unless it’s like an hour before the programs due to go to air, because of the time zone differences, they can fly the talent to Perth & the program can go live as scheduled from the Perth studios for the Eastern States. I’m not sure where Studio Disaster Recovery is for Nine & Ten? They fly talent 5 hours to Perth rather than going to Melbourne to go to a studio? 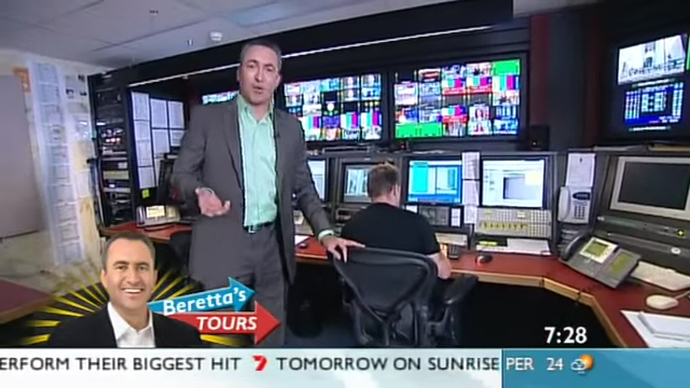 Ten is in Melbourne, it’s noticeable since there’s no HD on Wednesday Afternoons. When Analog transmission was been turned off and Seven done a farewell clip. Did BCM have a Digital feed and a Analog feed for the Transmitters? 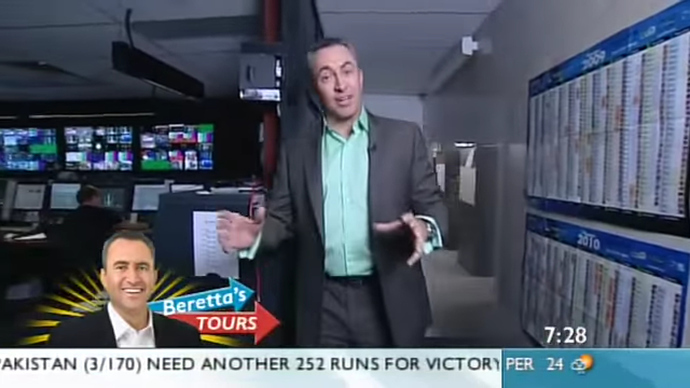 That room (in caps in my first post with Mark Beretta) he said only fires up when there’s an issue in Melbourne. Either automatically or someone in Melbourne has to press something. There is a MCR operator in there 24/7 however. I understand this room didn’t exist in 2005, during the infamous Blue Heelers network black-out? The set-up is almost a carbon copy of BCM’s Master Control Room. 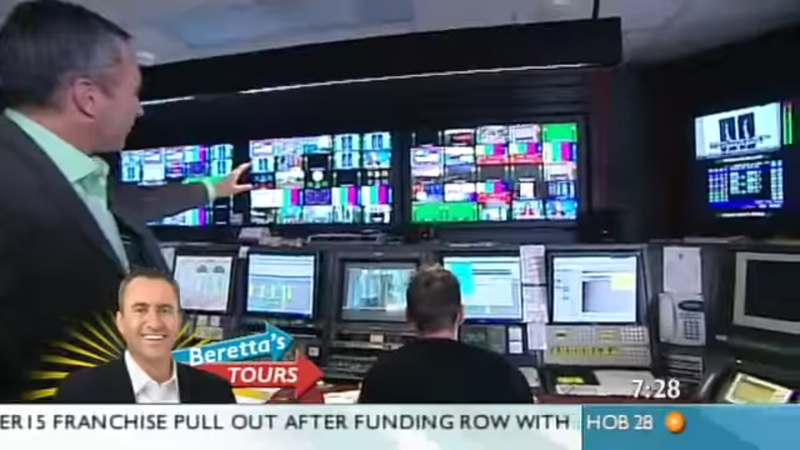 Having two network play-out centres operating at once would cause serious issues I’d imagine. The Transport Accident Commission of Victoria did something similar in December 2009. [Premier John] Brumby also launched a montage of the most memorable TAC images from the past 20 years, to be aired across the commercial networks just once, after 8.30pm tonight.